(Bloomberg) -- It looks scary and weird, and is designed to come knocking at your door. 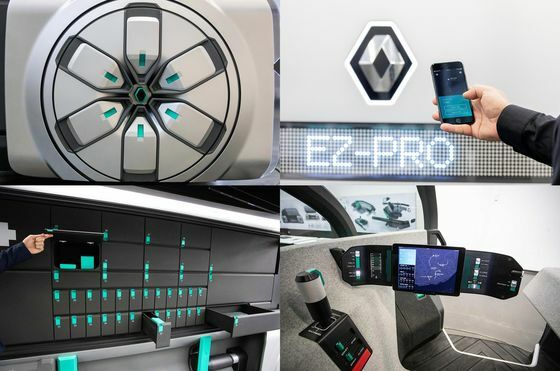 French carmaker Renault SA unveiled on Wednesday the EZ-Pro, an autonomous vehicle of the future that will deliver food to your place late at night or parcels to your office during the day. The massive, gray robot moving on square-looking wheels is a concept slated to hit the roads around 2030. 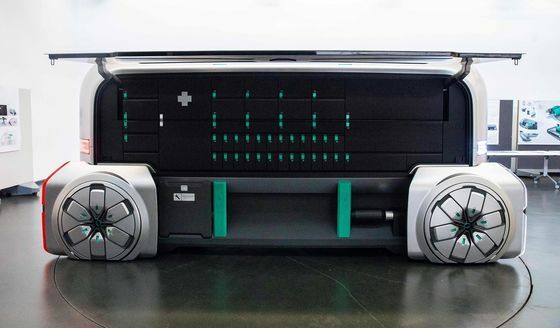 While it won’t need a driver, the EZ-Pro will have a concierge to help with the logistics of distributing online orders. With side flaps that open up like a food truck’s, the vehicle’s design was inspired by the look of a lunch box, according to Renault. 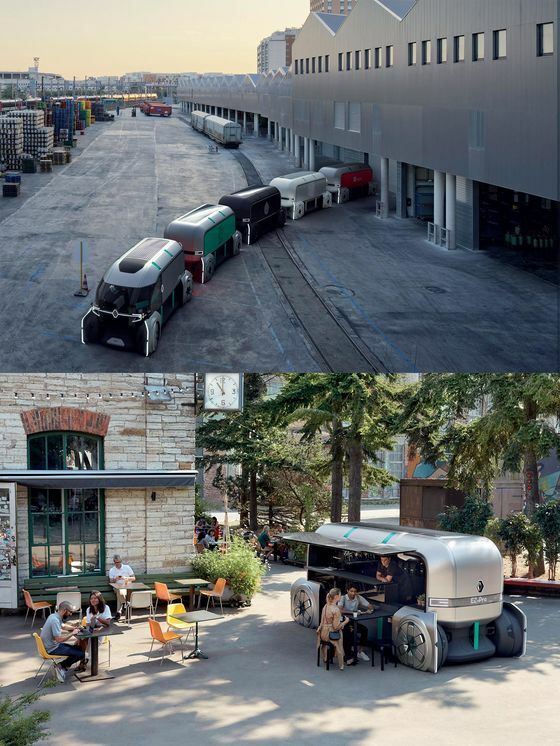 At an impressive 16 feet long and 7 feet wide, the carmaker says it could still get around most European cities. Self-driving cars for passengers often include reassuring lights, sounds and comfortable, body-hugging seats. For its part, the EZ-Pro looks downright utilitarian. 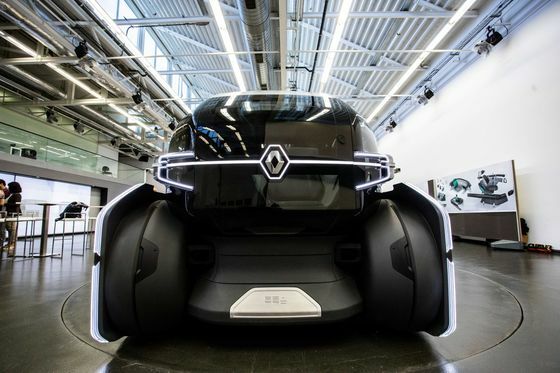 “In the case of delivery vehicles, the personal touch will mainly be located in the apps users will use rather than in the vehicle,” Renault’s head designer Laurens van den Acker said. General Motors Co. is planning to get robotaxis on the road as early as next year and startups like France’s Navya already sell driverless cars. 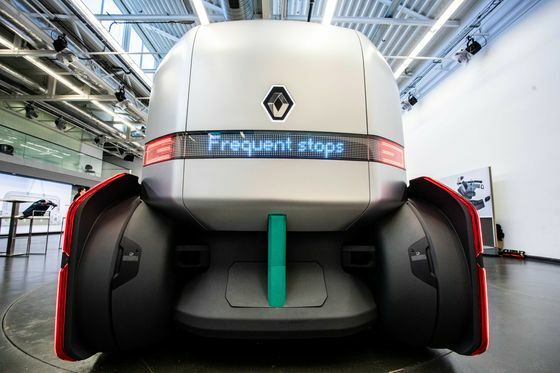 Renault plans to equip some of its passenger vehicles with autonomous features starting in 2020.